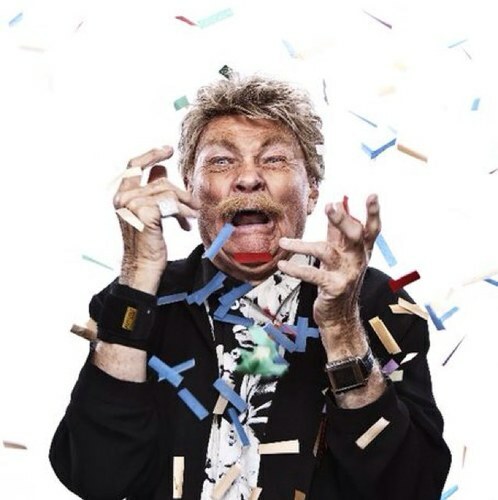 RIP TAYLOR, American actor, born; an openly gay American actor and comedian. Taylor is known for his high-voiced yells, zany hair (which is a toupée), and bushy handlebar mustache over a perpetual toothy grin. He always enters a venue tossing handfuls of confetti from a paper bag onto his audience and laughing hysterically, while the band plays his theme song, “Happy Days Are Here Again.” Taylor’s comedic style includes horrible puns, often in conjunction with props (for example, holding up a plastic fish full of holes and exclaiming “Holy Mackerel!”) and miming along to novelty records (including the works of Spike Jones). If he gets little or no reaction following one of his jokes, he stops for a moment and yells at the audience: “I don’t dance, folks! This is it!” Or, “Hello? Can you people hear me?” Taylor, 83 today, is married to Rusty Rowe.